As doctors for our oral health, dentists work very hard to obtain their medical degrees. Generally, they spend four years in college to gain an undergraduate degree (usually in a science field), and an additional four years in dental school. Additional school, plus a residency in the chosen specialty field if you decide to specialize. Whenever someone compliments you on your fabulous smile, you can thank your dentist! If you’re thinking about going into the dental industry as a career, you will want to note that generally, someone with the following traits is most successful: a high aptitude for science, outstanding manual dexterity, and good communication skills. Failure to take good care of our teeth could lead to cavities, tartar, plaque, decay, disease and a general decline in overall health. 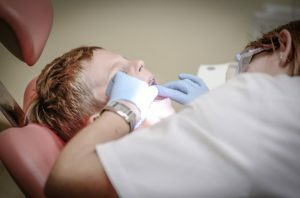 The dentist fulfills several roles: diagnostic, disease prevention; treatment plans; reading x-rays, some surgical procedures. Most patients see their dentist on a bi-annual basis, cleaning on both visits and usually x-rays once each year. X-rays allow your dentist to detect decay and take corrective actions quickly. 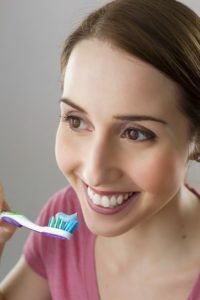 A cleaning recommended every six months just supports your own home oral health routine of brushing and flossing. This procedure may be performed by a hygienist; however, it prepares your mouth for the dentist to have a good look and assess any areas that may need attention. Cleanings also include removal of plaque and tartar, stain removal, fluoride application, polishing teeth, fillings, and crowns. So, that gorgeous smile is even more gorgeous! Be sure to keep your medical history updated, changing medications, life events, diabetes may have an impact, so let’s keep everyone informed. Other preventive measures include oral cancer examination and screening, gum tissue evaluation, and referrals to specialists if needed.